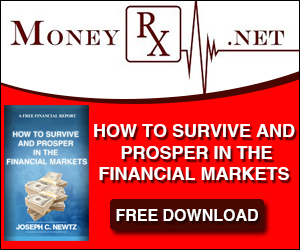 Now more than ever, creating and sustaining a successful retirement plan involves the necessity for a solid strategy that considers volatile markets, inflation, longevity and the possibility of sustained low interest rates. Anyone who has money in the stock market over the last few decades has experienced wild gyrations in their investment accounts. While the S&P 500 has increased by about 300 percent since March 2009, most investors have only captured part of that increase. While no one can predict the direction of the markets in the short-term, it pays to have a solid set of rules to follow when investing for the long run. The point of using any method of portfolio risk management is to have a strategy, process and discipline to avoid excessive levels of capital destruction over time. Buying on dips, rebalancing and avoiding severe losses can help capture more of the markets gains while keeping you in the game. Avoiding drawdowns when you are making withdrawals from your retirement account should also be a priority. 1. Trim back winning positions to original portfolio weights by rebalancing as frequently as each quarter or as positions increase by a certain percentage. 3. Hold the cash raised from these activities until the next buying opportunity occurs. By using some type of fundamental or technical measures to reduce portfolio risk by taking profits as prices/valuations rise, the long-term results of avoiding periods of severe capital loss will typically outweigh missed short-term gains. Even small adjustments can have a significant impact over the long run. It should also be obvious to everyone that things don’t cost what they used to. Inflation drives up the cost of all goods and services, including health care costs. This a very important factor to consider when determining the amount of money you will need to accumulate in order to reach your retirement goals. While in retirement, you also need to continue to earn a higher rate than inflation or you will see your nest egg dwindle quicker than you might imagine. Individuals are living longer in retirement than at any point in history. Most people would like to maintain their standard of living when they reach retirement and have the confidence that they will not run out of money. Not knowing how long you are going to live makes it difficult to determine how much money you will need to last a lifetime. Most workers relied on pension income that was guaranteed to last for as long as they lived. Those days are gone and the burden of investing for retirement has been shifted to the individual. With the likelihood of a three decade-long retirement, this has become an difficult task. Back in the 1980’s, retirees could simply put their money in guaranteed savings accounts and Certificates of Deposit and live off the interest. However, in the low interest rate environment that we have witnessed over the last decade, conservative strategies like this have not provided adequate growth for accumulating retirement assets nor have they provided stable income options. Many people have decided to prolong retirement or work part-time jobs to help supplement their retirement income. In these ever-changing times, creating sustainable retirement income strategies is more important than ever. It is essential to adapt to the changing landscape and consider these risks when planning your retirement roadmap. While each of these hazards may be independent of each other, the combined effects must be considered when creating and executing your retirement plan. But you have to be careful when seeking advice. I see advertisements from financial salespeople saying that they do “holistic” planning while formulating a way to get you to pay them upwards of 2% to manage your investment account. It’s just a sales gimmick. They do not use a proven wealth model to structure your complete financial situation so that all your assets work together in harmony. They just say they do “holistic” planning and then proceed to sell you their money management platform. You see, it doesn’t matter how much money you have – what matters is that you are efficient. 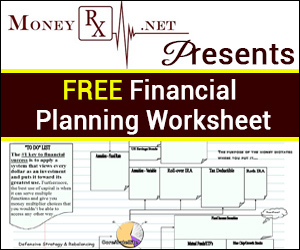 Real “Holistic” financial planning allows you to understand how a financial decision you make affects other areas of your life because it includes all aspects of a person’s “Life Assets”. By viewing each financial decision as part of a whole, you can consider its short and long-term effects on your life goals. You can also adapt more easily to life changes and feel more secure that your goals are on track. The charlatans that are using “Holistic Planning” to sell you something are purely salespeople pushing financial products on you that have nothing to do with improving your complete financial picture. If “holistic” means that the whole is greater than the sum of its parts, why do financial advisors push ONE product so hard? Because financial institutions make money by making steady fee income! Remember, holistic financial planning is the continual process of pursuing your life goals through the proper management of your resources, not the process of selling you a financial product.